bounce house rentals for the LAKELAND area - slide, jump, moonwalk and jumpers for every event. Tables, chairs and concessions for rent. Inflatables for any party. 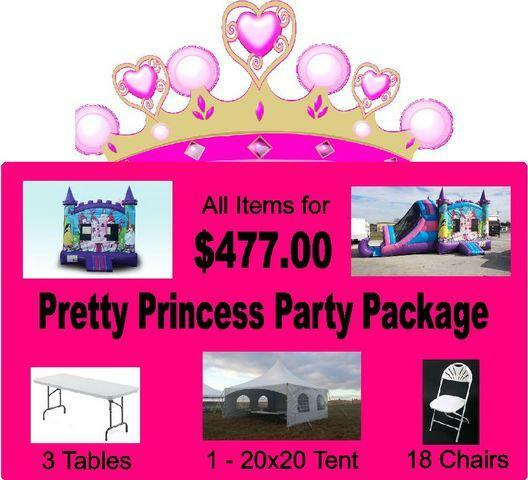 This special includes our most popular princess themed inflatables in an easy to order package.